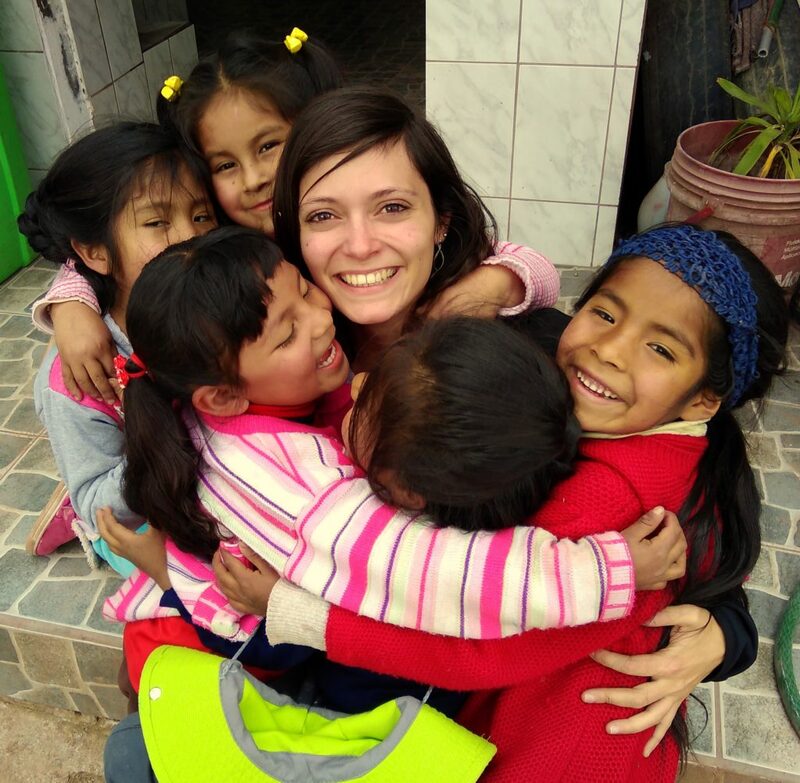 Since we are convinced that education is the key to provide a good environment for the development of children and since we are deeply motivated to act on the ground, we were very happy that Amandine, vice president of “Los Chicos de Cusco “, accepted our wish to be volunteers for 7 weeks between October and November 2018. We left our daily work as engineers in the prevention of industrial risks, and could live a very rewarding experience and a most beneficial parenthesis in our life! 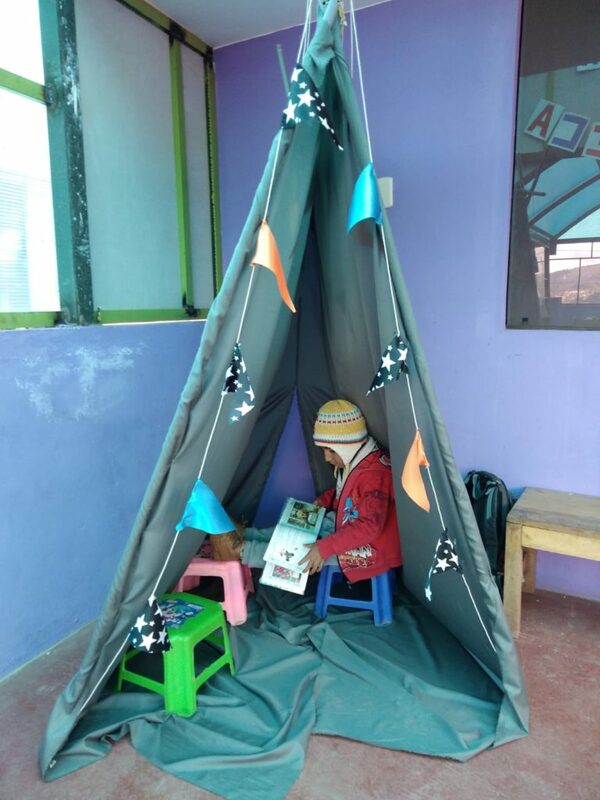 We intervened at the kindergarten “Las Hormiguitas” in the disadvantaged neighbourhood of Hermanos Ayar, located 20 minutes by bus from downtown Cusco. In the morning, we attended the teachers in class and spent time with the children in difficulty. We also helped a psychologist in analysing the behaviour of some children in a delicate situation. Marlene, the director of the school, also took advantage of our visit to revive “La Biblioteca”. 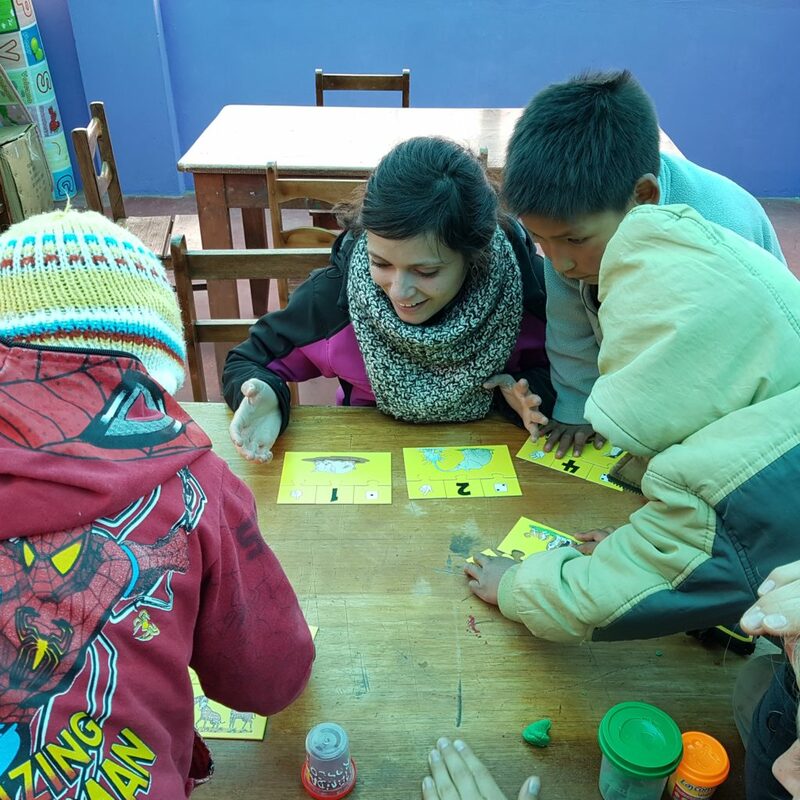 During the afternoons, we welcomed the children from the neighbourhood and the school for fun activities, hygiene awareness, school reinforcement (mathematics, vocabulary) as well as for free manual work to allow them to express their creative side! This also allowed Marlene to welcome the “papitos” (the parents) to sensitize them to the benefit of being with their children and help them with sawing and knitting activities. They will sell them on the market. 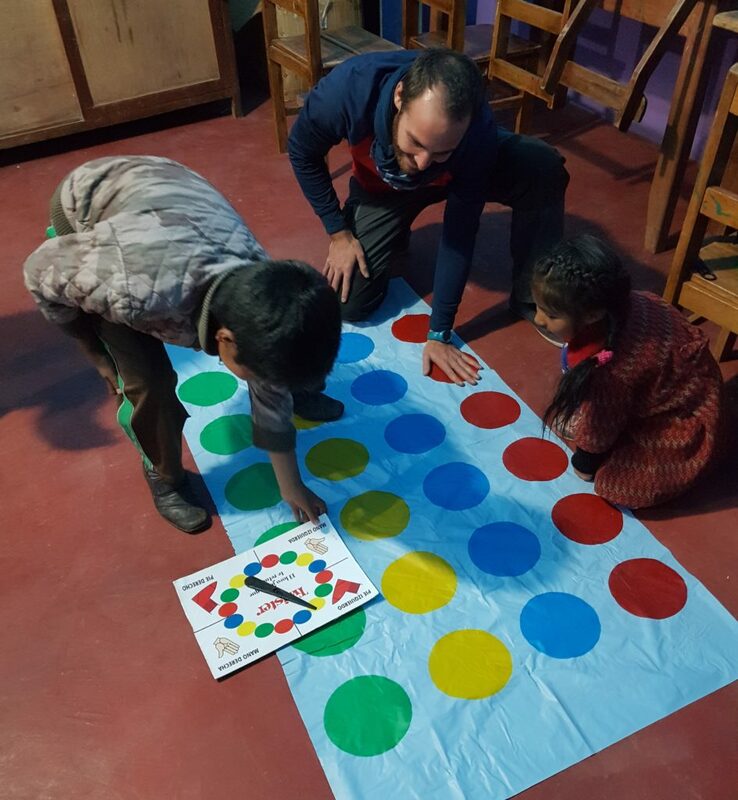 We do not hide that our days were full and we slept like babies at night … but these afternoons were the opportunity to build a special relationship with the children, to hear them laugh and enrich us with them! We also spent 10 days at Asvin School. The beauty of the school, its infrastructures, its biblioteca and its good organisation pleasantly surprised us. It is good to see, after 11 years of existence, how the school evolved thanks to the staff, the donations and the action of the volunteers. We could see that there is still a long way to go for Las Hormiguitas in their new location to become as a pleasant school as Asvin. Therefore, in consultation with Amandine and Asvin’s director, we agreed that our last days of volunteering would probably be more beneficial to Las Hormiguitas than to Asvin. 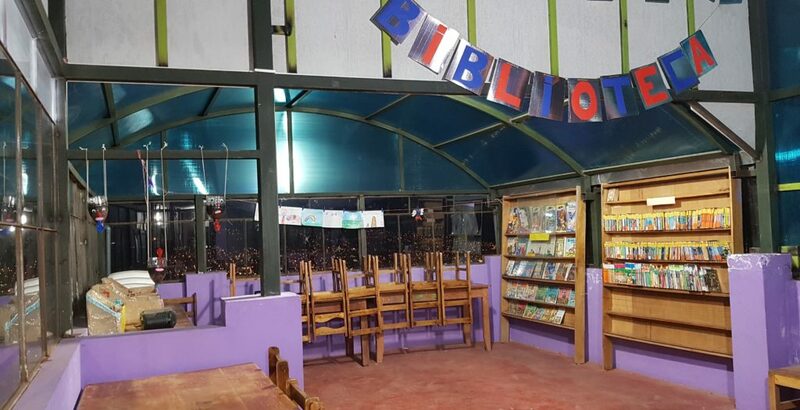 We have therefore tried to restore the Biblioteca de Las Hormiguitas so that it is a real place of life and refuge for children after the morning class. 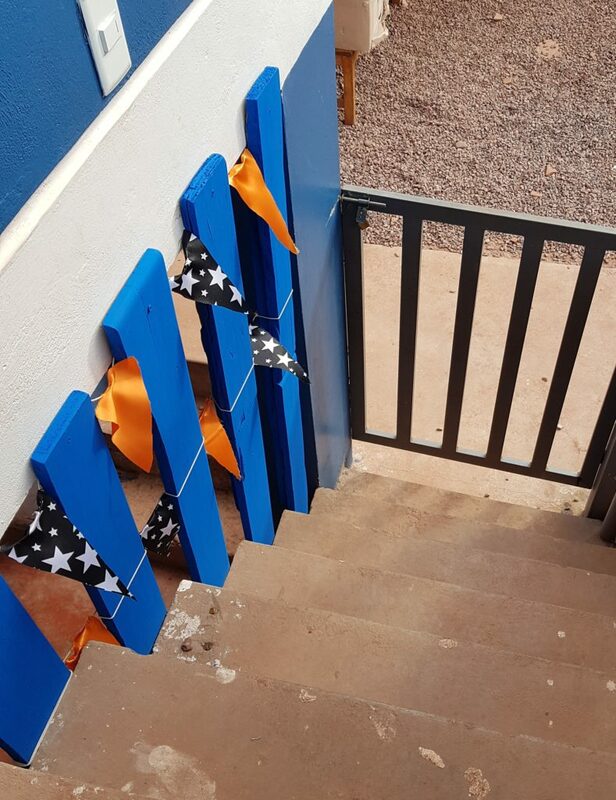 Our first project was to secure the staircase to the Biblioteca. 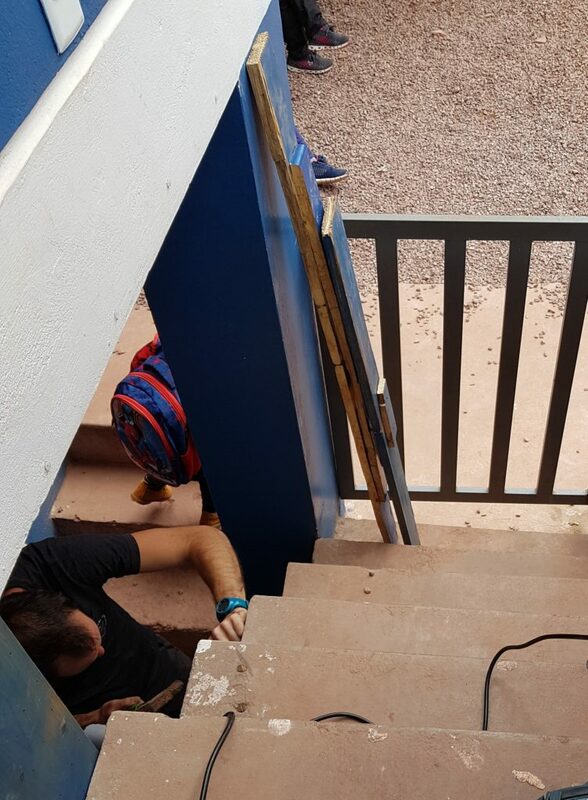 Indeed, open on one side, without guardrail, we could easily imagine that a child could fall more than 3m … It was not easy to find all the material we needed, but we fulfilled our goal! Then, we unpacked the boxes filled with books (more than 700), made an inventory and arranged them in the Bibilioteca, so that it became a proper Biblioteca. We decorated it in a manner that the children feel good, want to be there and talk about it. We are proud to have seen the joy of the children by discovering the tent we made and to have new “subscribers” aged 11 and 13. They came to ask for help with their homework or even participate to the manual activities we organized. 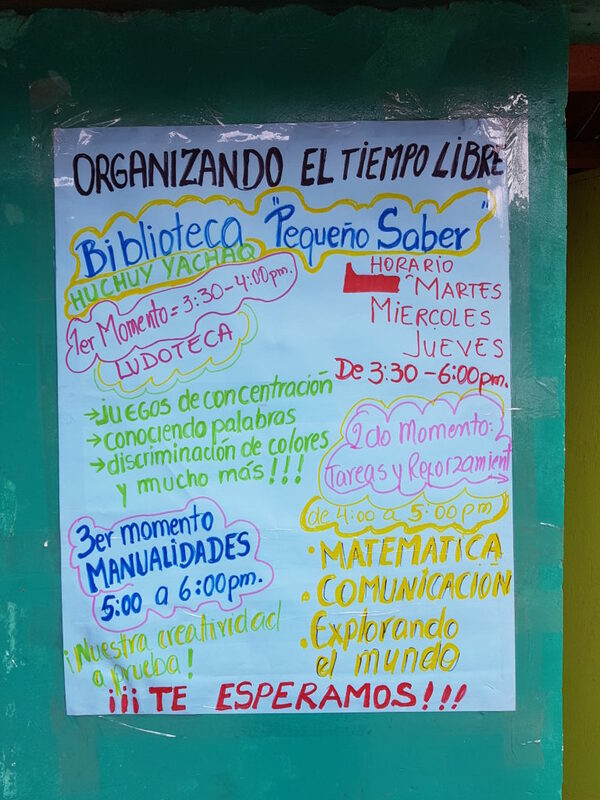 We now hope that the Biblioteca is on track, and that it will attract more children from the neighbourhood. The next volunteers can go on with it, develop, and animate it! 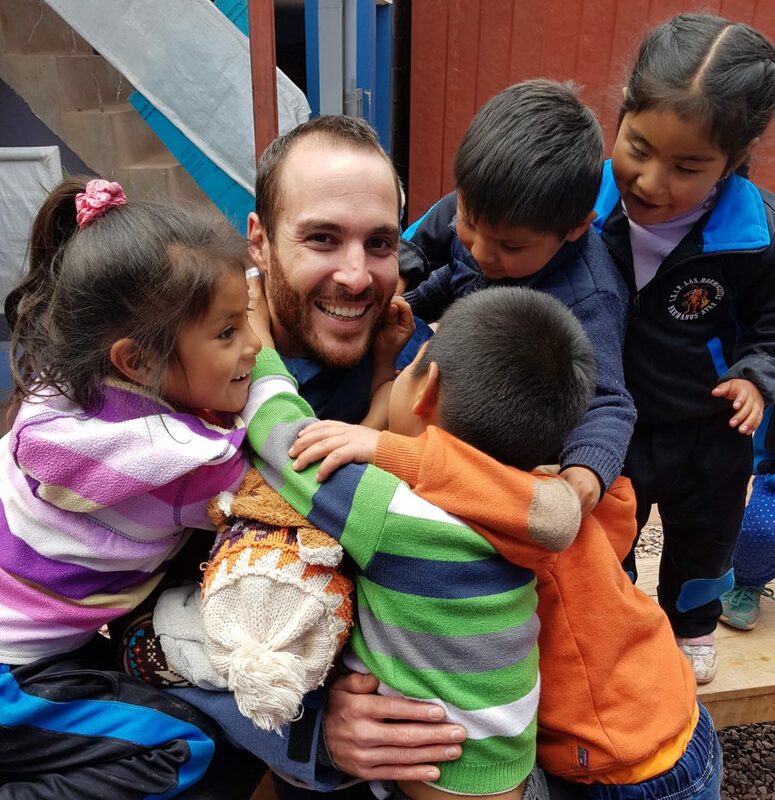 We warmly thank Los Chicos de Cusco and the schools of Las Hormiguitas and Asvin for their hospitality and kindness that made this experience a real success. We leave our heads filled with many memories and plans to continue our help!